Xa Xaac Kahato (Short Grizzly Bear) Harold Jerome Walker, Sr. the first born son of Lynus (Tarzan) Walker and Isabelle (Moody) Walker was born on April 7, 1938 and died Monday, November 12, 2018. He had been diagnosed with Lung Cancer and had been suffering with End Stage Renal Disease. He attended elementary and High School in Kamiah where he made a name for himself on the basketball court shooting “3’s” long before the shot was given full credit. As a child he participated in Cub Scouts and as a teen ager he perfected his war dancing techniques under the tutelage of “Tex” Williams. The Troupe traveled around the region doing exhibition dancing with authentic regalia provided by “Tex”. In 1955 he married Maudie Samuels and they had two children, Paula and Belle. They divorced and he later married Beulah Oatman and four children followed, they were Harold J. Walker, Jr., Tracey Walker (deceased), Troy Walker, and Tamzen Walker (deceased). This marriage also ended in divorce. His children collectively produced 26 grandchildren (3 preceded him in death) 19 great grandchildren (1 preceded him in death). 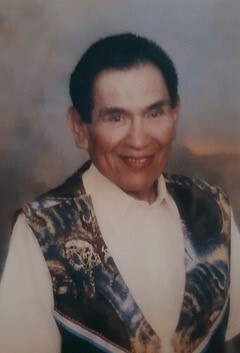 Jerry loved children and besides grandpa (qalaca or pilaqa) and great grandpa (Poxc), he was affectionately known as Uncle Jerry. He worked as a laborer on many projects, but especially proud of helping construct the Lochsa highway connecting the Clearwater country to Missoula, MT. He received certificates in heavy equipment operation and worked in various jobs in Washington, Idaho and Oregon. He most enjoyed going for fish or firewood, harvesting traditional roots, making tipi poles and baking pies and making fry bread. Although not active inside the Presbyterian Church he was always faithful to serve God by working at the Ti’lapalo Indian Cemetery (2nd Church) and Church grounds. Each summer he traveled to the Talmaks Presbyterian Camp near Mason Butte near Craigmont. Here he enjoyed preparing the grounds before the camp meeting started. He is survived by his children, Paula (Adrian) Moody, Belle Linda Walker, Harold, Jr. (Griz), and Roy, His sisters, Tootsie Souther, Connie (Steve) Evans, Christine Walker all of Lapwai and Shirley Guzman of Kamiah. His many grandchildren and great grandchildren, numerous, nieces, nephews and first cousins. Funeral Services will be held on Thursday, November 15, 2018 at 10:00 AM at the 2nd Presbyterian Church, Burial at the Church Cemetery on No Kid Lane in Kamiah. Dinner will follow at the Church Dining Hall.